In a remote jungle of Papua New Guinea a tribe of former cannibals claims to be one of the Lost Tribes of Israel. FIU Professor Tudor Parfitt has been tracking such Israelite movements around the world for more than two decades. Last year, he made his third visit to Papua New Guinea to continue his research with the Gogodala of Papua New Guinea and a film crew from FIU’s External Relations Division went with him. You can watch FIU’s documentary short of Parfitt’s expedition Monday, Feb. 3, on Miami’s local PBS station, WLRN channel 17. 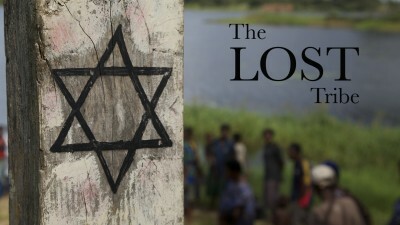 The 7-minute film, The Lost Tribe, will air at 10:45 p.m. after Wild Africa. Shot on location in Papua New Guinea by FIU filmmaker Tim Long and written by Long and FIU Magazine Editor Deborah O’Neil, the documentary features extraordinary footage of traditional Gogodala ceremonies, scenes of daily life in the village, as well as interviews with tribal leaders and Professor Parfitt. The Lost Tribe will debut as part of WLRN’s Monday programming on wildlife and nature. It will run for the next few months in a variety of day, primetime and evening slots. “It is always interesting to travel to these places and take the viewer there to see people in remote and lesser known parts of the world,” Tomlinson said. “It will get a lot of air and I think we will get a lot of inquiries about it. The four FIU students who traveled to Papua New Guinea with Parfitt– Sabrina Diz, Keysel Pelaez, Kyle Decker and Pablo Currea –- were also involved in the making of the film. Currea served as second camera with Long and the other students assisted with sound production. The latest issue of FIU Magazine features a story on Parfitt’s research with the Gogodala and around the world, images from the trip, stories with the four FIU students and a first-person essay by Long on the making of the documentary. You can read the all stories online here.